This Cushion set is 100% Cotton. Most of our glider rocker cushion sets in this style take 3-4 weeks because we offer over 600 fabrics and custom make them to order. We offer this cushion as part of our fast ship program. It is in stock and ships the same or next business day plus transit depending on your location. This is for the customers who want to have it now. 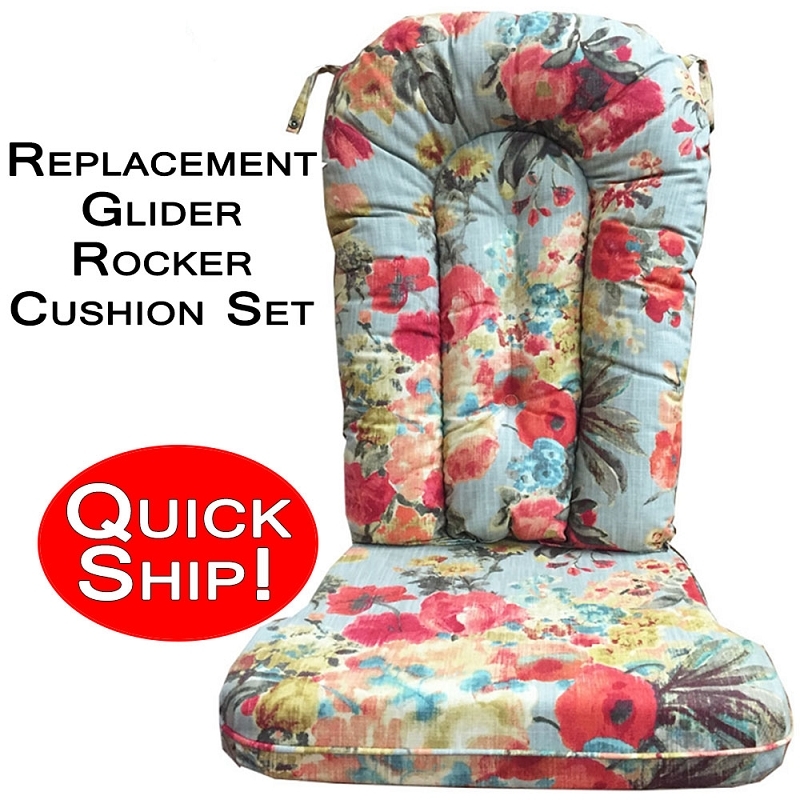 Renew that old glider rocker and add a flash of GENIUS! Our cushions are very high quality cushions specifically designed for glide rockers. The seat cushion has no ties as it is designed to stay in place via gravity. The back cushion will also stay in place but it has two snap ties, one on either side of the top of the cushion, that are just over 4 inches long. If by chance your present glide rocker has these snaps, awesome. If not, we sell the male end of the screw in snaps. If you don't use the snap ties, you may want to cut the ties off or add to the length of them. Be creative but be careful. Please view the attached image for dimensions. Seat Cushion is a generous 4 inch Thick with a zipper for access. 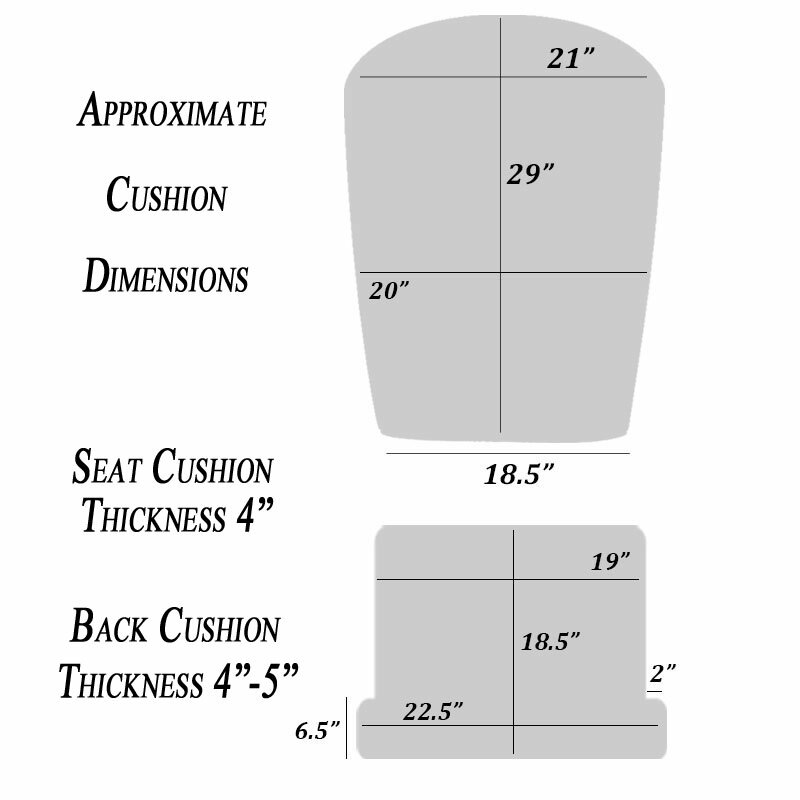 Back Cushion is a generous approximately 5 inch thick. Made in the USA by Americans! You can also add matching fabric if you want. The matching fabric will ship separate in about 2 weeks.